This map has been created using tree data made available by London's local authorities and Transport for London. The map shows the locations and species information for over 700,000 trees. 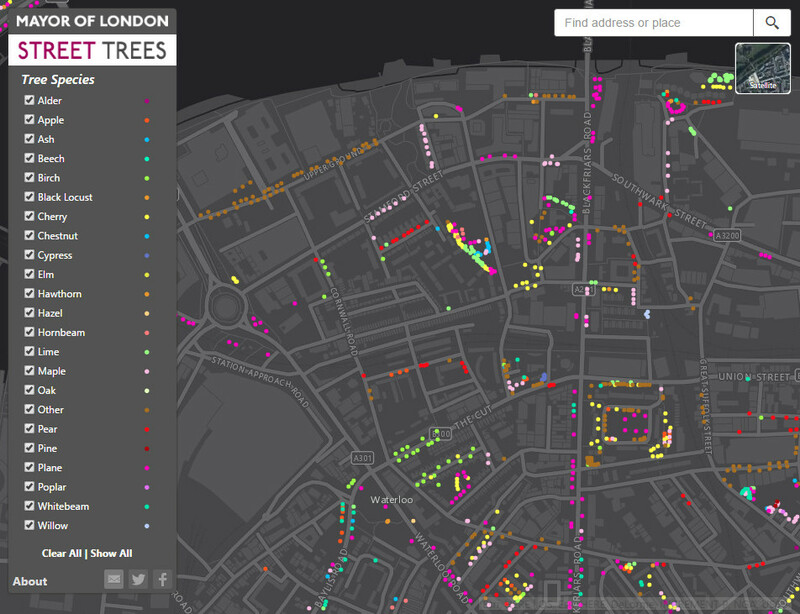 The majority of the data is for street trees but also includes some park trees. It’s estimated that there are over eight million trees in London, so the map is only a partial illustration of London's trees. The New York City Street Tree Map brings New York City’s urban forest to your fingertips. 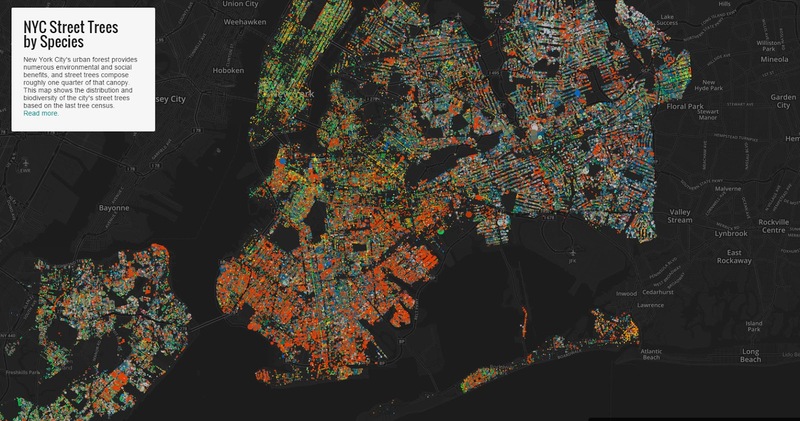 For the first time, you have access to information about every street tree in New York City. Learn about the trees that make up our city’s urban forest, mark trees as favorites and share them with your friends, and record and share all of your caretaking and tree stewardship activities. New York City's urban forest provides numerous environmental and social benefits, and street trees compose roughly one quarter of that canopy. This map shows the distribution and biodiversity of the city's street trees based on the last tree census.